The reason you may see zero or negative calorie adjustments for your Health Mate activity in MyFitnessPal is due to a difference in how MyFitnessPal estimates calories. Health Mate estimates calories as you go, adjusting based on your current activity levels. MyFitnessPal must estimate calories for the rest of the day based on the data that has synced up to a certain time of the day. 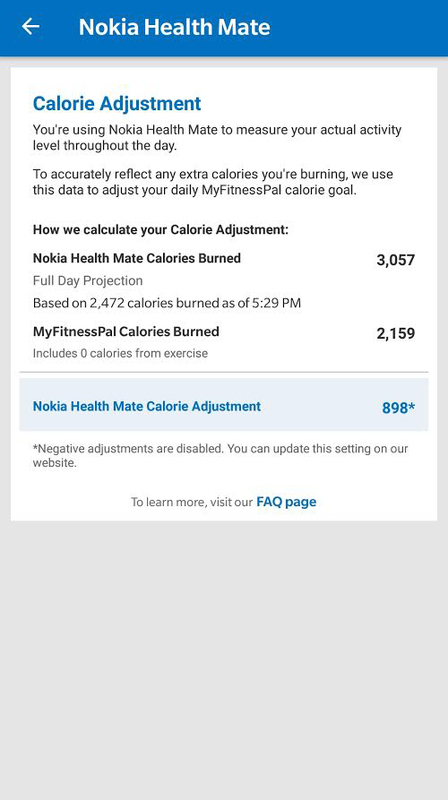 Since the calorie projection above for Health Mate is lower than the calorie estimates from MyFitnessPal, no calorie adjustments need to be made (with negative calorie adjustments disabled in MyFitnessPal). 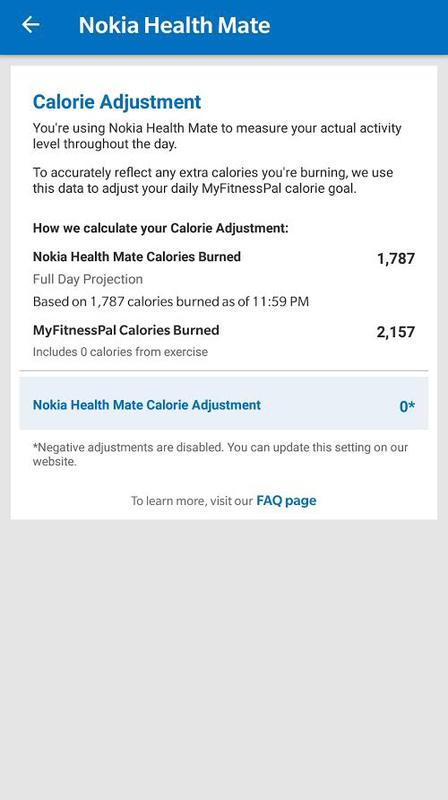 However, if your Health Mate calorie projection is greater than the calorie estimate from MyFitnessPal, they would show as a positive adjustment as seen below. More information about calorie adjustments made in MyFitnessPal can be found here.